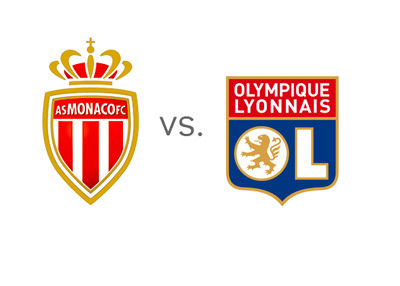 Monaco get ready to host Olympique Lyonnais at the Stade Louis II on February 1 in a French Derby showdown that the former needs to win if they are to come any nearer to visitors, Lyon, in their Ligue 1 campaign this season. Monaco who were placed second-last in September 2014 in the Ligue1 table when they lost 1-2 in an away match to Lyon, have recovered in dramatic fashion, remaining unbeaten in all their last 12 games. They now find themselves in the 5th spot with 39 points and very much in contention to qualify for next season's UEFA Champions League. Monaco will feel confident going into Sunday's encounter as Lyon will be without their ace-striker Alexandre Lacazette. The 23-year old Lyon-born footballer is the leading scorer in this season's Ligue 1 with 21 goals from 22 games and is solely responsible for his club heading the table with 48 points and ahead of Marseille and PSG by 4 points. Lacazette had to limp off with a knee injury in the 34th minute of his club's last encounter with Metz. Leonardo Jardim's team owe their recent form to some excellent defensive play. In fact, Monaco haven't conceded a goal in the past seven games. Lyon too haven't let in a goal in their last five and Monaco striker, Dimitri Berbatov, 33 and aging will have to produce his best to score one for his side. Although Lyon are 9 points ahead of Monaco in the League standings, full-back Christophe Jallet has cautioned team-mates not to take the game lightly. With Lacazette out of the play, coach Hubert Zournier's 4-4-2 midfield formation which was specially meant to feed the talismanic striker will now need a rejig. Nebil Fekir may have to fill in the role of Lacazette as the lone striker. The Lyon accent could be on a stronger mid-field and good defending and a hit-on-the-counter game. Daniejel Subasic, Monaco's goalkeeper, who has hardly been tested in recent times, could be suddenly put under pressure against a much tougher opposition. Apart from the experienced but injury-plagued 28-year old Yoann Gourcuff, the likes of Rachid Ghezzal, Yassine Benzia, Gnaly Cornet and Fares Bahlouli constitute the core of Lyon's midfield and defense. All of them are in their early 20s or sub-20s and may lack the experience of a big game. Striker Fekir, 21, while having scored 8 goals with 5 assists also to his name from 18 league games is no match to the mercurial Lacazette. These are chinks in the Lyon armor that Monaco will be wanting to make inroads into. Fournier summed up the feeling in the Lyon team camp after their dream run to the Ligue 1 top and the mood going into Sunday's clash. He said that these are exceptional times for the club and that they should keep their feet on the ground and not get carried away. He also added that he would like to see this present cushion of lead continue for as long as possible. Yes, without their lead striker out possibly for the next three or four matches, Lyon would like desperately want the status quo to carry on. Which is why February 1's Ligue 1 clash will be watched with such interest. Odds for a Monaco win are 11/10, a draw at 11/5 and a Lyon win at 14/5.